NVIDIA is working extremely hard to create a product that people want, bringing Android to its highest potential in the realm of mobile gaming. One of the features that SHIELD offers that I can’t get enough of, is the feeling of an actual controller in my hand while playing my favorite games. So, what happens when you pair said controller, complete with joysticks and triggers, with a new Parrot AR Drone 2.0? Pure nerd magic. Optimized for SHIELD, the AR Drone 2.0 application allows me to take full control of the quadrocopter, providing an exceptional experience for anyone that loves flying and bringing attention to themselves at the local frisbee disc golf course. 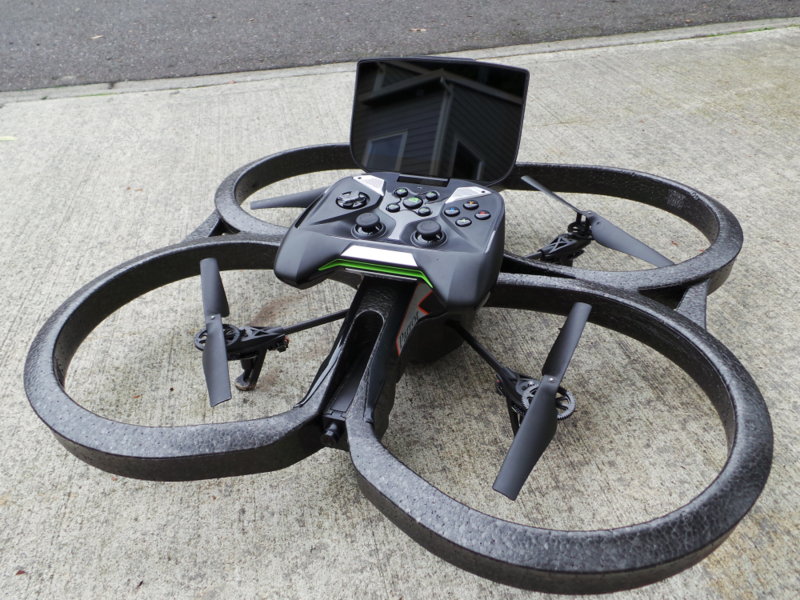 Using the built-in joysticks, I can control the Drone’s height, rotation and every other aspect of the craft. Since the Drone has a built in HD camera, the feed goes directly to SHIELD’s 5″ HD display, allowing me to pilot the machine even when I’m not in its line of sight. As I express in the video, it really is an enjoyable experience. Below, you can see me at my local park, getting mean mugged by our local frisbee disc golf team as I encroach on their turf to get some flying time in.